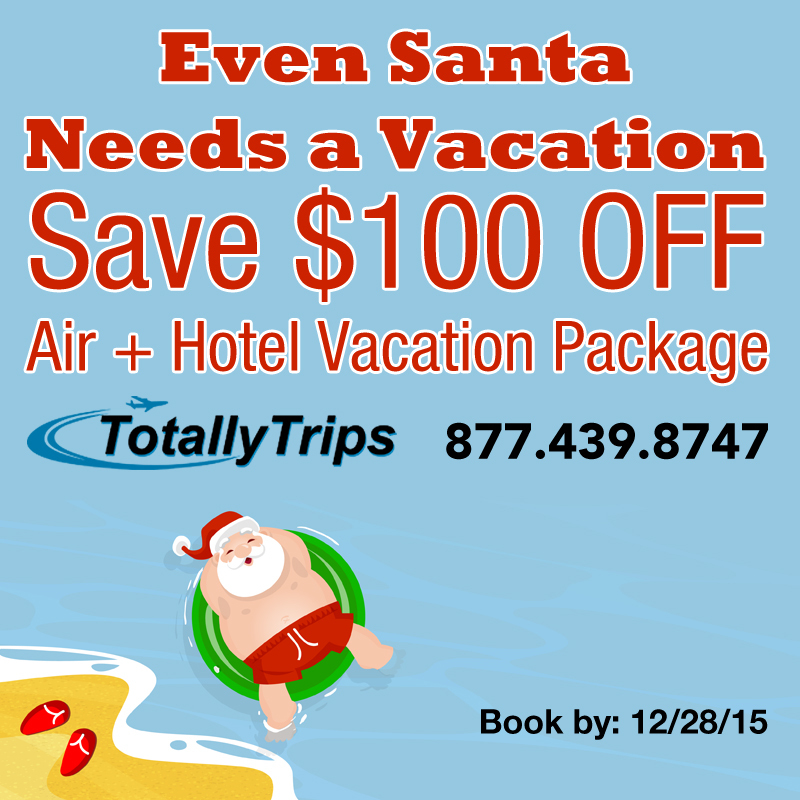 ← Even Santa Needs a Vacation – Save $100 OFF Your Vacation Package! Book by 12/28. This entry was posted in Adults Only Vacations, Bahamas Travel, Destination Weddings, Family Vacation, Honeymoons, Jamaica Travel, Memories, Mexico Travel, The Best Time to Travel, Vacation and tagged all inclusive, all inclusive family vacation, all inclusive hojneymoon, beach, beach vacation, family vacation, last minute deals, last minute vacation deals, sa even santa needs a vacation, travel, trip, vacation. Bookmark the permalink.